So what makes Hemp Hearts so super? Here are a few reasons! Hemp Hearts have 10 grams of omegas 3 and 6 per serving making them a tasty way to get in those healthy fats without having to take a supplement like fish oil. They have delicious nutty taste, like a sunflower seed or pine nut, and their flavour goes great with any food making them super versatile! Plus if that wasn’t enough, Hemp Hearts also contain magnesium, fibre, iron, zinc, phosphorous, and more! You can make your soup super by stirring in Hemp Hearts, give your smoothie a super boost by blending in Hemp Hearts, or even make a super salad by sprinkling Hemp Hearts on top. Manitoba Harvest has been in the hemp game for 20 years and they’re the largest manufacturer to make and sell their own line of delicious hemp food products. 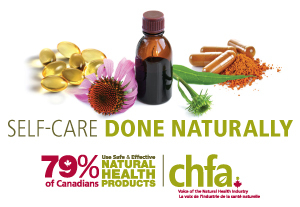 Manitoba Harvest is also a certified B-Corp and all their products are Non-GMO Project Verified. Besides just Hemp Hearts, Manitoba Harvest also has a variety of other hemp food products including Hemp Heart Toppers, Toasted Hemp Seeds, Hemp Oil, and Hemp Protein Powder. Hemp Hearts are easy to add to any dish from breakfast to lunch to dinner. Here’s one of our favourite super salad recipes made with Manitoba Harvest Organic Hemp Hearts. 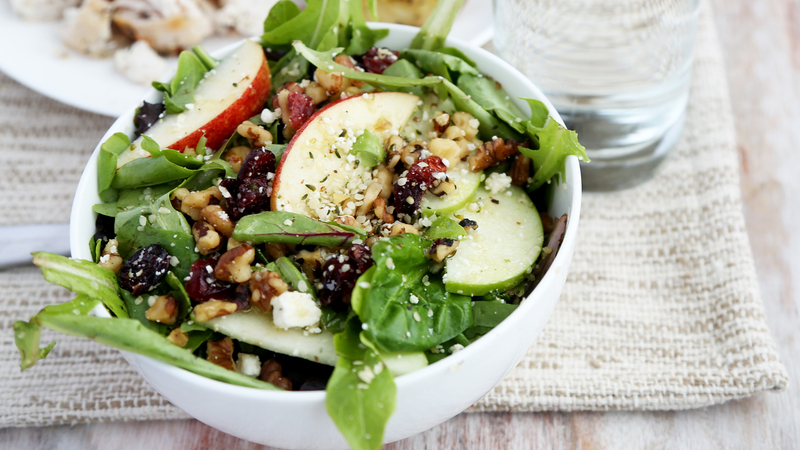 In a large bowl, toss the mixed greens, apples, walnuts, Hemp Hearts, feta, and cranberries together. Whisk the dressing ingredients together in a small bowl until emulsified. Drizzle the dressing over the salad and toss until all the ingredients are well coated. For more recipes and inspiration, visit manitobaharvest.com.